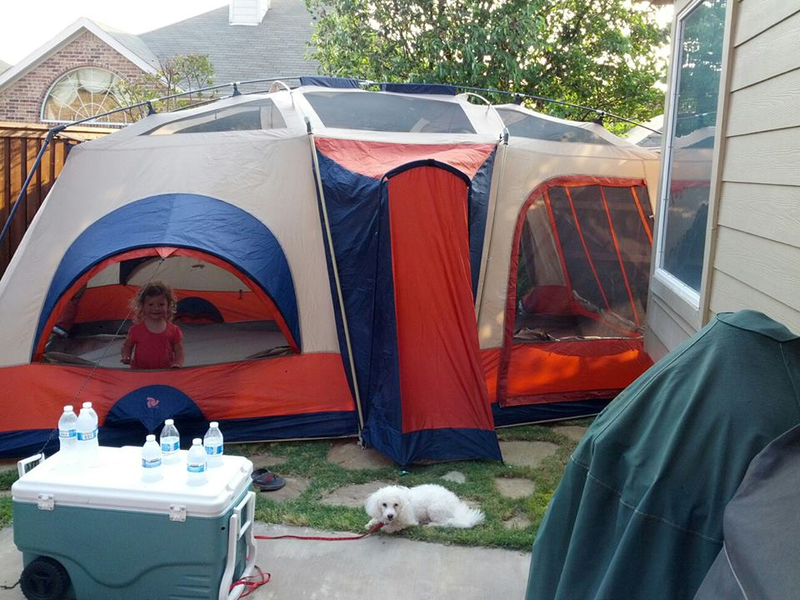 My family has created a new tradition when it comes to Memorial Day…camping. I never really grew up camping very much, or at all, so I jumped at the opportunity when my parents found a place 20 minutes away from them. 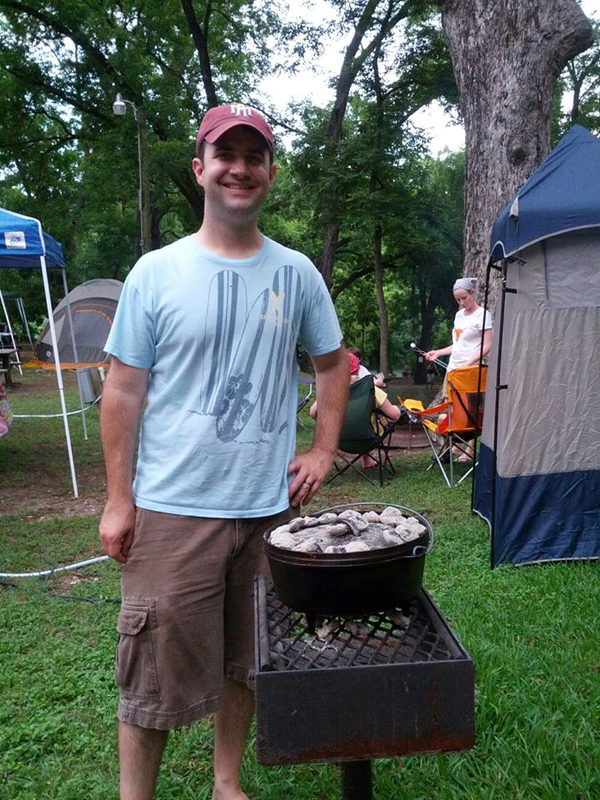 It’s a private campground in Fentress, Texas, and this was our second year to go. 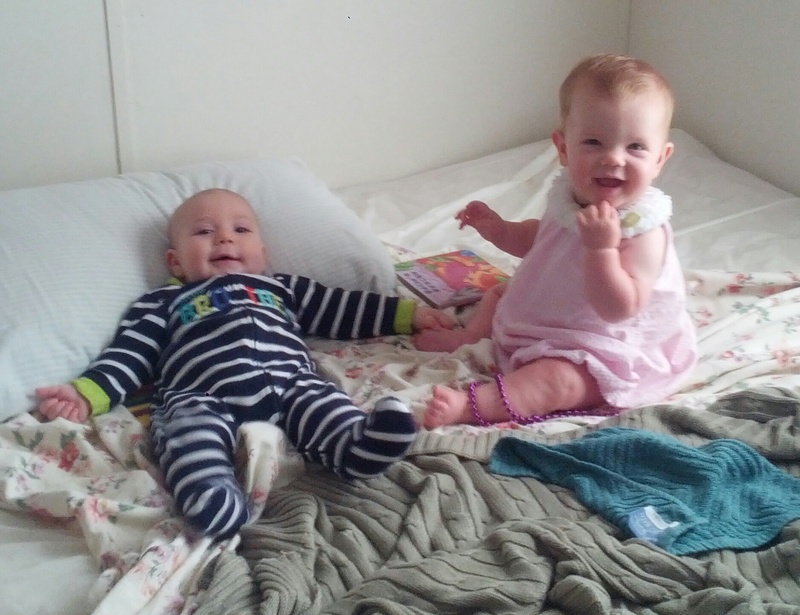 The first year we went, I was four months pregnant with Sophia and tolerated it quite well. We camped in tents and had the luxury of water and power along with a little toilet that fit right in our tent. If you know my hubby, you know he doesn’t do anything small or mundane. He has a tent that has two bedrooms, two closets, and a ‘living area.’ We had been together 11 years when I first experienced this tent. That thing was HUGE! It fit myself and Josh on a queen-sized air mattress, Emma on her toddler cot, and my parents on a queen-sized mattress in the ‘living room.’ The toilet lived in the area with them, and I have to say it was a godsend. When carrying a baby in your belly you have a to pee a lot, especially towards the end, so I was beyond grateful that I didn’t have to trudge in the rain to the bathroom (which really wasn’t that far). Last year we had my parents along my sister and her family (she was pregnant with her second child, too) for the 3-day weekend. Back then, I was all gung-ho about paleo eating, especially since we were just about to get the meat from our cow and pig. So, knowing how I love to plan what we eat, I jumped on the chance to plan most of our meals. My meal planning along with Josh’s cooking was a win-win. Josh had just picked up his Camp Chef and made sure to bring a couple of his Dutch ovens to try his hand at some yummy gluten-free desserts. This year we expanded our crew and living quarters. We had my parents, my sister’s family including her two boys, my brother-in-law’s parents, another couple with their two kids, and a friend of my parents. 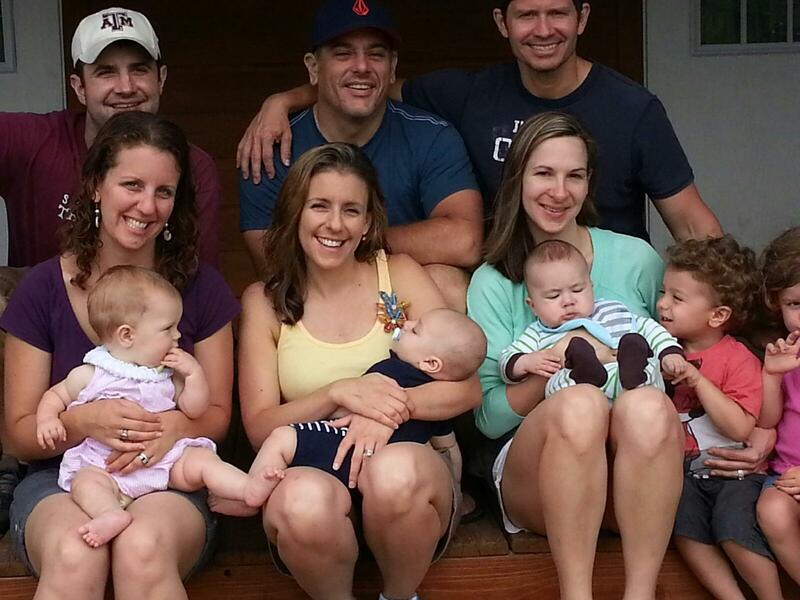 All in all we had 11 adults, 3 toddlers, 3 babies, and a partridge in a pear tree 1 dog. Whew! That’s a lot of mouths to feed and a lot to keep up with. I will say that it was nice having help i.e. someone to wrangle the toddler while I nursed/someone to wrangle the baby while I floated the river with the toddler. The part that got exhausting was the walking. For some reason we decided to have a primitive sight (no water/electricity) down by the river, two cabins at the top of the park, and a camper spot smack dab in the middle. 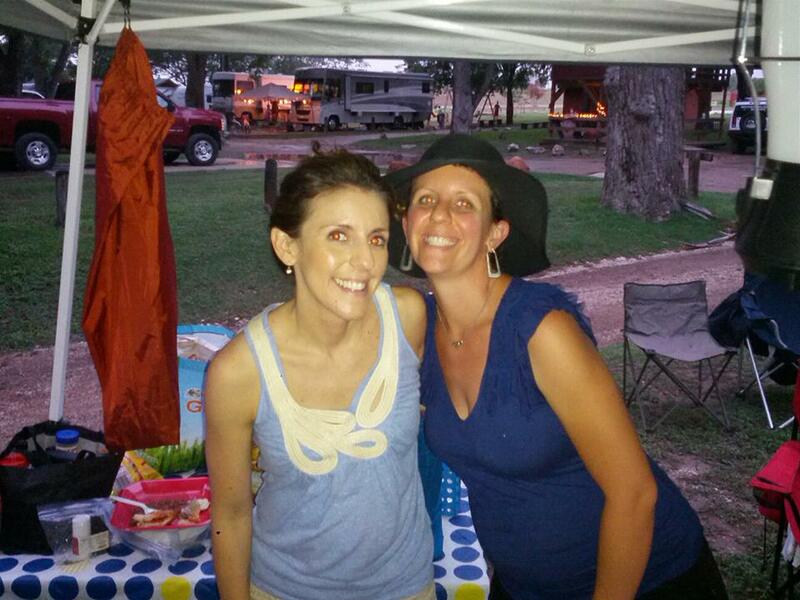 We were torn on where to eat due to the food being in the cabins but wanting to cook out at the camp site. In the end, we just did a lot of walking and hauling the entire weekend. I guess I shouldn’t complain too much, it definitely got me some exercise from the time we got there until we left. If you’ve been following me for some time, you know I’m a fan of Making It Yourself (MIY), so it only seemed right to carry it over into camping, especially when trying to cut out chemicals with the girls. I was super motivated to incorporate some crunchy things in our weekend since I found a lot of recipes/ideas on Pinterest. I wanted to do some camping traditions while trying keep them as healthy as possible (think Paleo S’mores). So be prepared to get crunchy while I show you how crazy ambitious I got for our second camping trip. I found this recipe while flipping through my First for Women magazine and was excited to find that it has essential oils (EOs) in it. My first choice in buying EOs would be from here, but I just used what I had on hand. 1. 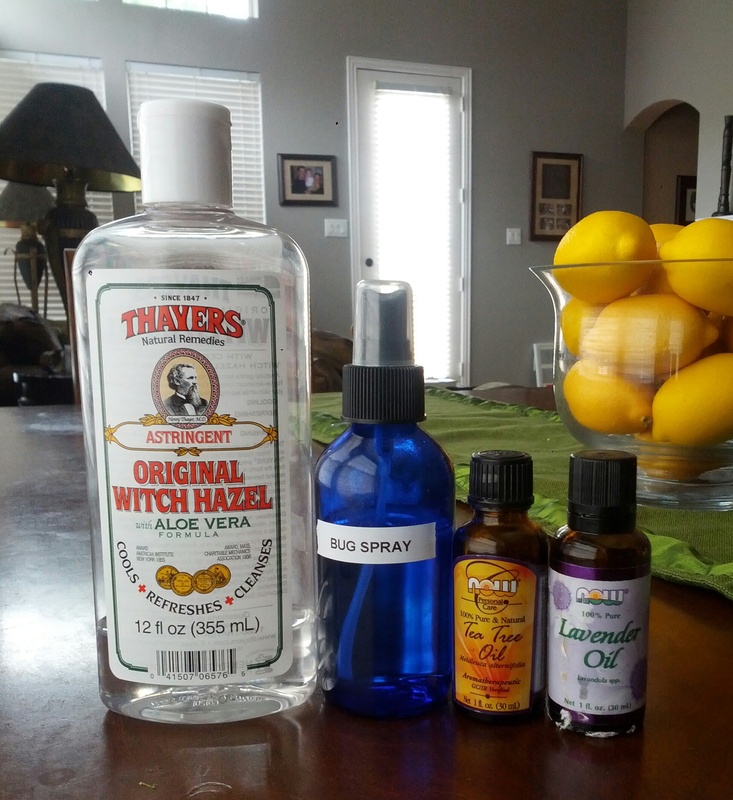 Combine witch hazel with 20 drops of lavender oil, 20 drops of tea tree oil, and 20 drops of eucalyptus oil (or any combination you like) in a glass jar/measuring cup. 2. Pour mixture into a glass spray bottle and use as needed. I recently discovered this sunscreen from Natural Grocers and was excited to see it was rated a 1 on EWG’s site. They even have a spray on option for those of you who must have it. See this post on why spray sunscreens may not be a good idea. I know it’s a stretch (har har) to make your own marshmallows, but I didn’t feel comfortable giving the store-bought kind to Emma-plus I like spending all day in the kitchen. At her request, I dusted them in cacao powder since she didn’t like the toasted coconut last time. I couldn’t believe how delicious and easy these crackers were to make! 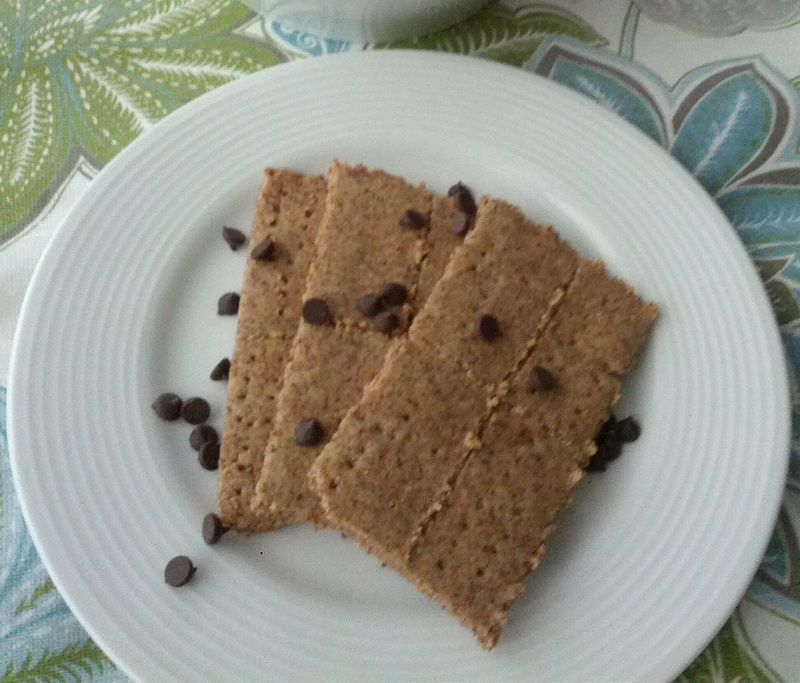 I love finding yummy paleo recipes from Elana’s Pantry. 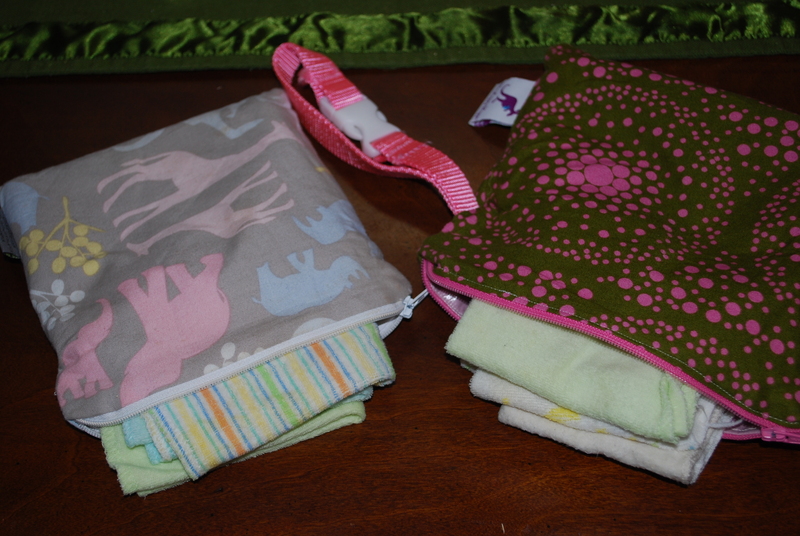 This will be a whole other post on how I cloth diaper (CD) at home and on the go, but here are some photos to show you how I travel with CDs. I can’t believe I made it through the whole weekend with the cloth and didn’t run out of anything! It’s the small successful things in a mama’s life. And that is how we survived 3 days and 3 nights with having two kids while trying to eat right. With a little planning and prepping, I’d say we officially had a good ‘ole crunchy time. Did you do anything for Memorial Day besides remembering those who served/lost their lives? 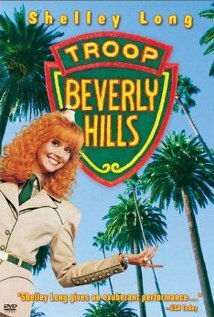 Are you a camper or is your idea of camping from a scene in Troop Beverly Hills? That is a big tent! We need to get a new one for our growing family, but I am not sure if we are going to get that big of one. How did the bug spray work out? I made some with basil, and I think it worked ok. 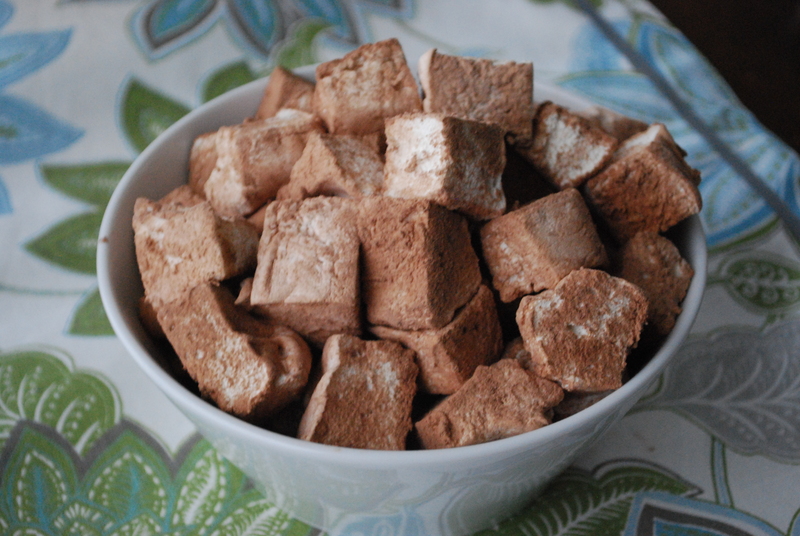 I have been wanting to make my own graham crackers and marshmellows, but just had not gotten to that yet. How did they turn out? The spray worked out great, when I remembered to use it. May have to try basil next time.